With his latest release, Yaamirukka Bayamey, garnering favourable response, Kreshna is on cloud nine. a�?It was a different genre that we tried and it worked,a�? says the actor, adding that a�?it feels good when hard work pays off.a�? Kreshna recently completed a shooting stint for Vanmam in Nagercoil, where he shared frames with Vijay Sethupathi and Sunaina. The career graph of this actor, who made his debut six years back, seems to be on the rise now. Thirumanam Yenum Nikah is scheduled to release shortly. 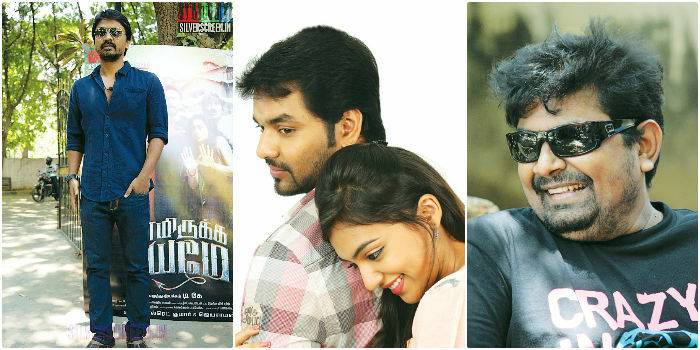 The film, directed by Anees, stars Jai, Nazriya and Arjun Raghavendra, among others. It is about two youngsters from traditional families who, after they fall in love, hide their real identities and carry on a game of pretense. A breezy rom-com, it is touted as a wholesome family entertainer.